Learning to temper chocolate really isn’t that hard, and it opens up a huge world of pastry and baking techniques. 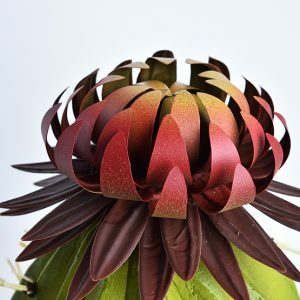 When you know how to temper chocolate, everything from the most complex chocolate decorations and sculptures to the simplest chocolate dipped strawberry is available to you. The only question is: how will you handle all that power??! First, it’s important to know the difference between true chocolate and its cheaper counterpart, coating chocolate, because only the real stuff can be tempered. Real chocolate, known as couverture, is a high quality product made from cocoa solids with a minimum cocoa butter (the fat in chocolate) content of around 30%. Other natural products like sugar, lecithin (an emulsifier) and milk solids are added, but the base is authentic cocoa. The cocoa butter is the key ingredient here, as we’ll see in a minute. *Actually, that’s a damned, dirty lie. A higher quality compound chocolate exists, and I do use that for stabilizing some chocolate glazes and decorative chocolate sprays. But I will never, ever use compound chocolate as a substitute for couverture, like when dipping strawberries. Cocoa butter “grows” into different shapes and sizes depending on what temperature the chocolate is during that growth. The key is to grow a specific crystal (known commonly as Form V and less commonly as beta prime) that happens to be the size and shape that sets in a way that gives us the chocolate we know and love. Any other crystal will leave the chocolate, melty or crumbly or greasy or some other –ly that isn’t very good. The path the cocoa butter follows to grow into Form V crystals is pretty simple: the chocolate is first warmed to 113F/45C (too hot for any crystals to exist), then cooled into the Form V growing zone at 85F/29.5C and heated slightly to melt out any riffraff (crystals that grow in a similar temp. zone but aren’t the size and shape we want). That’s it! No matter what method you use you’ll need to melt some or all of your chocolate to temper it. 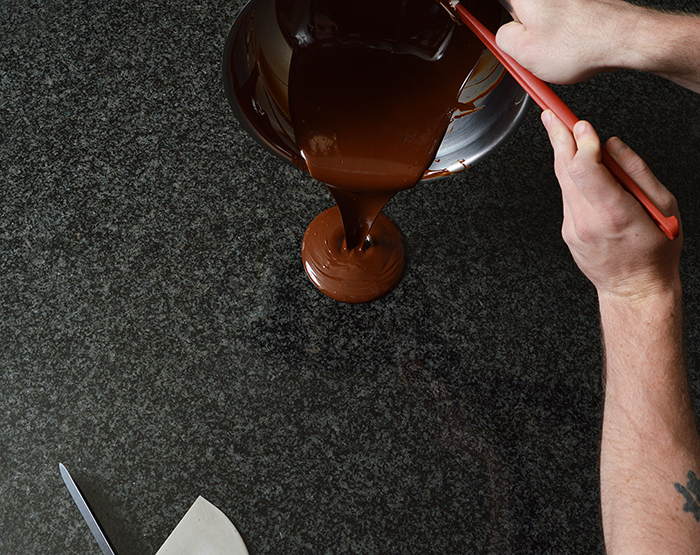 This seems like a no-brainer step but there are some nuances to getting your chocolate melted. Either way you choose to melt the chocolate, be gentle so it doesn’t burn. If it does, it’s pretty much ruined. Yes, you could strain out the little burned nuggets but the flavor will always be altered and flavor is why we’re using the real stuff in the first place. Grab a saucepot and a metal mixing bowl that will sit about halfway into the pot. If the pot is too large you run the risk of the heat from the burner hitting the overhanging sides of the bowl and burning the chocolate. Fill the pot with an inch of water then put the bowl over the pot (you don’t want the water to come into contact with the bowl) and add your chocolate. Heat the water over low heat. It’s important to bring the water to just a simmer, not a boil. The steam from the water will melt the chocolate with nice indirect heat. Stir the chocolate occasionally until it’s fully melted. 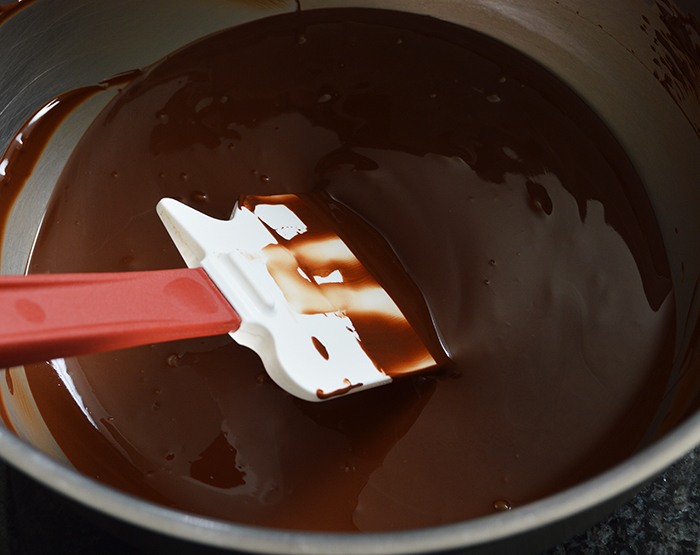 Once you remove the bowl of melted chocolate, make sure to thoroughly dry the bottom of the bowl to avoid any water drops falling into your chocolate as you pour it from the bowl. Water in chocolate = bad. Heat the chocolate in 30 second increments, stirring between each increment to help distribute the heat and melt the chocolate evenly. With dark chocolate you can start with 45 seconds to 1 minute of time and then reduce to 30 second increments and finally 15 second increments until the chocolate is melted. For milk and white chocolate start with one or two 30 second increments and then reduce down to 15 seconds to finish the job. As a general guideline, the more melted the chocolate becomes, the shorter the increments in the microwave should be. As I mentioned, tempering is done using basically three universal methods; seeding, table tempering and direct heating. I’ll tell you right now I prefer and almost exclusively use the table tempering method. 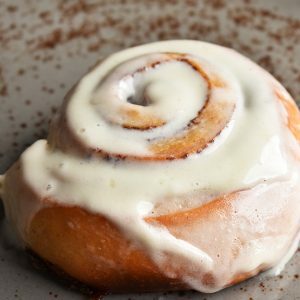 It mimics the physical method that industrial tempering machines use and is the method taught to me by every master pastry chef I’ve had the fortune to work with. Good enough for me. But I’m a thorough guy, so I’ll give you the rundown of all three methods. Seeding chocolate is so named because you “seed” Form V crystals into hot chocolate to help grow more crystals and cool the hot chocolate at the same time. The seeding method of tempering is probably the most widely used. Some chefs will tell you that’s because it’s the superior method, or faster. In general, I’ll say that’s pretty much bullsh*t. Before any of you seeders out there get too offended, I’ll say that seeding does have advantages. It’s definitely cleaner than table tempering and doesn’t require a specific table surface like marble, granite or formica. So if you’re in a tight space or otherwise don’t have the equipment to table temper like many a restaurant chef or home cook out there, seeding is probably your go-to. In certain situations, like in a pastry competition where you have everything you need perfectly measured out and at the ready, seeding is definitely the faster, cleaner, better option. Start by melting chocolate until it reaches the proper starting temp. Measure out 30% of the weight of melted chocolate and finely chop it. For 1000g of melted chocolate you’ll add about 330g of finely chopped chocolate. Add the chopped chocolate and stir (and stir and stir) until it’s fully melted into the hot chocolate. That chopped chocolate will cool the hotter chocolate and the agitation will develop the beta crystals you’re looking for. As an alternative to stirring, you can use a hand blender to quickly incorporate the chopped chocolate. There are two defined methods for the direct heating tempering. The first is to take chocolate and slowly warm it, often overnight, to the 90.5F/32.5C target. I don’t like this for three reasons: 1. If you don’t have a chocolate warmer you’re forced to use an oven, which at best is uneven in heat and heating. This leads to… 2. It’s damn near impossible to get all of the chocolate evenly heated left alone. 3. The method lacks agitation and so creates a smaller, inferior number of Form V crystals. The second definition of direct heating is a little better in theory than the first. Start with a bowl of room temperature couverture (which means a large number of Form V crystals) and slowly melt it until essentially you reach the same liquid/solid stage as seeding, where 30% of your chocolate is in solid form and the rest is melted. Stir the two together and voila! Tempered chocolate. The only negative here is that it’s easy to go too far with the melting and end up with chocolate that’s warmer than you want at the end of the process. This is especially true if you’re using a double boiler, since there’s so much carry over heat in the bowl even after it’s removed from the pot. From a point of too much heat you’re stuck with the need to cool the chocolate, either by seeding or tempering, so you might as well have done that in the first place. No secrets here, I’m a fan of table tempering. It is a requirement in my kitchen that all of my cooks are proficient in tabling chocolate. No seeders need apply. With a little practice, table tempering is easily faster than seeding or direct heating, even with clean up. Tabling your chocolate also combines efficient agitation and cooling that does a pretty bang up job of developing Form V crystals. Everything comes with a price of course. 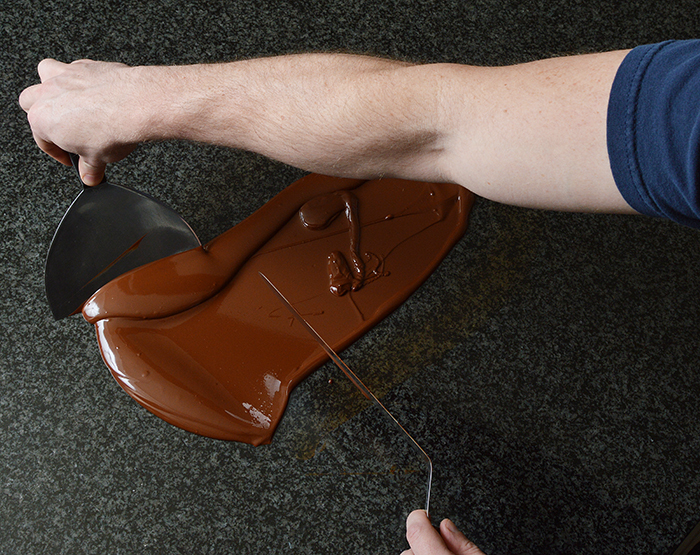 To table chocolate you need a smooth, non-porous table surface. The most popular choice is marble or granite, but formica or formica-like alternatives do the job nicely too. Don’t use wood (it’s porous) and don’t use stainless steel (unless you like metal filings in your chocolate). Tabling also takes the most skill and practice to master, but that’s why you came to DFK in the first place. 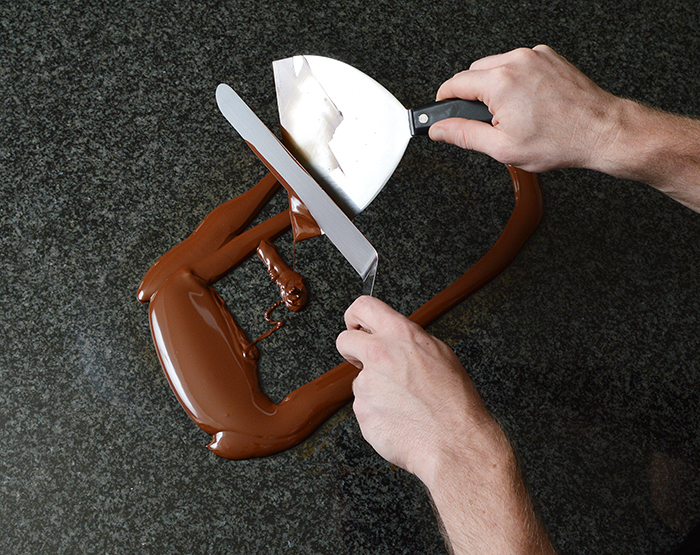 To table temper, you’ll need an offset spatula and a chocolate scraper. 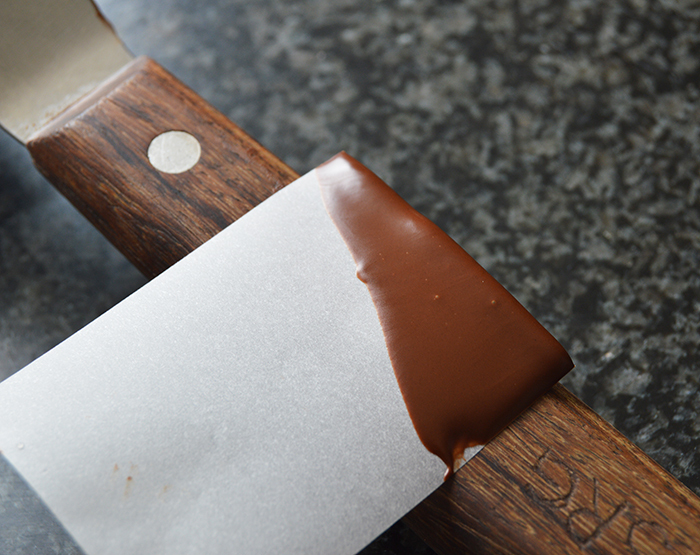 For a chocolate scraper I like using a stainless steel 6″ putty knife like this. Repeat: stainless steel! No one wants rusty chocolate. You want to be sure to heat your chocolate to at least 113F/45C for dark chocolate and 105F/40C to get a clean base for developing the right cocoa butter crystals. 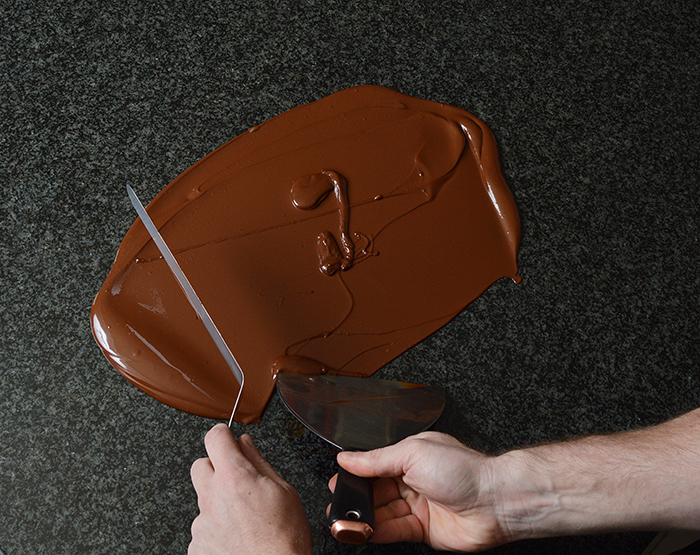 Pour 80-85% of your chocolate onto your tempering surface. 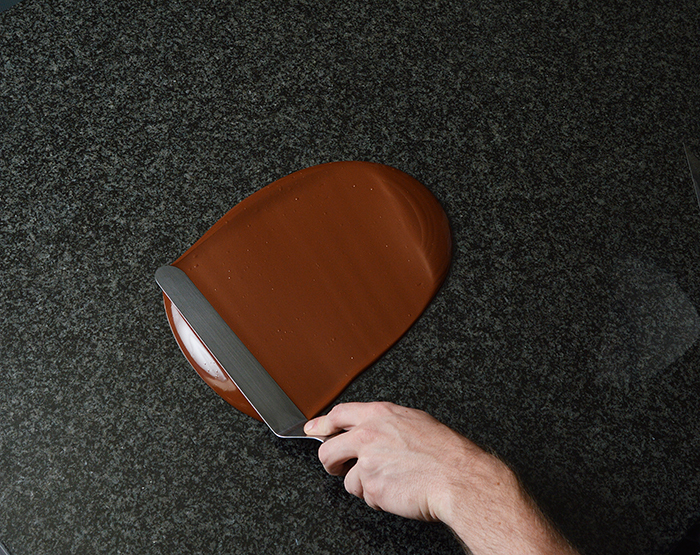 Spread the chocolate out with your offset scraper. With your chocolate scraper in your dominant hand, drag the outer edge of chocolate around the perimeter of the chocolate mass back to your starting point, then back and forth through the center. The chocolate on the outer edge of the mass cools fastest and develops Form V crystals first, so this motion pulls those crystals to the center and pushes the warmer chocolate out to the edge to cool and continue the cycle. When you’re done with the first motion, you should be left with something that looks like a chocolate racetrack. 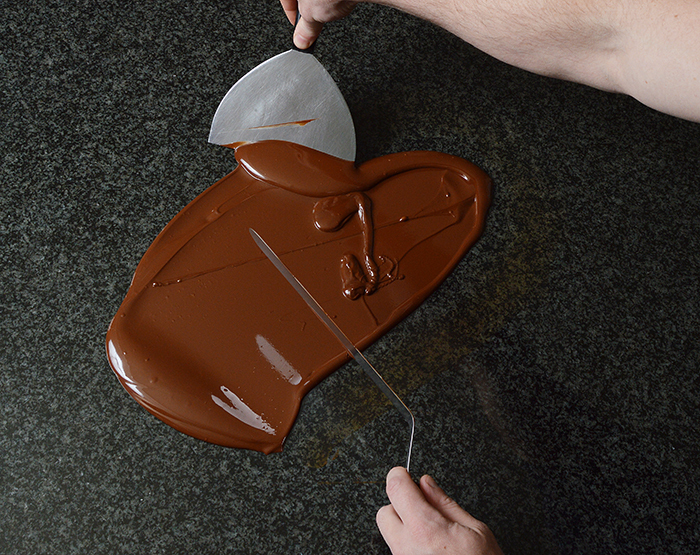 After a single pass, I use my offset spatula to scrape chocolate from the chocolate scrape back into the mass. 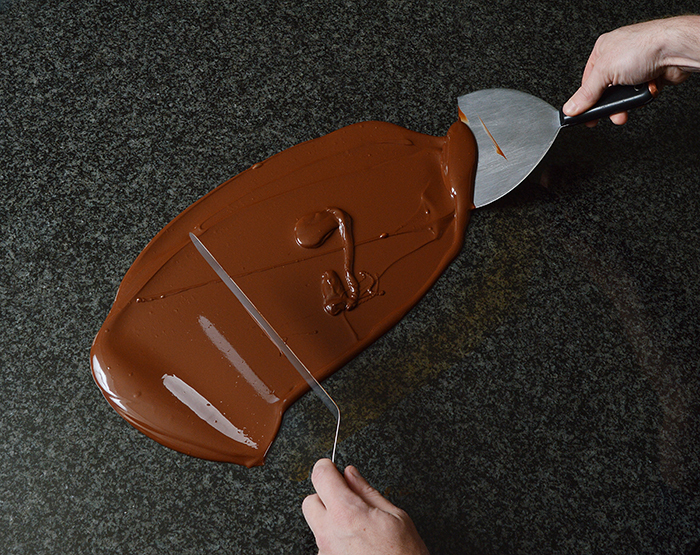 *Try and keep your offset spatula over the chocolate, so any drips from the blade will fall back into the chocolate mass and not on a clean portion of the table making a mess. *Keep the angle of the scraper high, not low, relative to the table. A low angle will generally allow chocolate to sneak underneath the blade. *You control the chocolate not the other way around! I keep the angle of the scrape pointed in toward the mass of chocolate, which naturally keeps the chocolate contained. If you notice your chocolate starts to move its way past your scraper either adjust the angle of your scraper to point in and/or widen the path you are using to scrape around the chocolate. *If you notice in the photos, my grip is not tight and absolute on the handle of the scraper in my right hand. It’s loose and I allow the scraper to swivel in my grip. Hold the handle between your thumb and fingertips, with little to no contact to your palm. 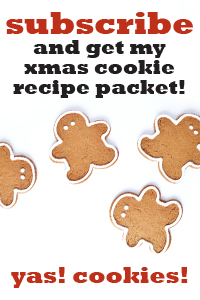 *If you leave behind any stragglers of chocolate with a pass – drops or drizzles, etc. – be sure to get them back into the chocolate mass before they set firm. Adding firm, set chocolate into the mass will cause lumps and can cause a chain reaction of crystallization that over-thickens the chocolate. Continue this process until your chocolate cools to 85F/29.5C for dark chocolate or 81F/27C for milk and white chocolate. How long this takes is all a matter of how much chocolate you’re tempering, how cool your table surface is, how the cool the room is, etc. With practice you’ll have a good idea of timing. Add your cooled chocolate back into your remaining warm chocolate and mix well. 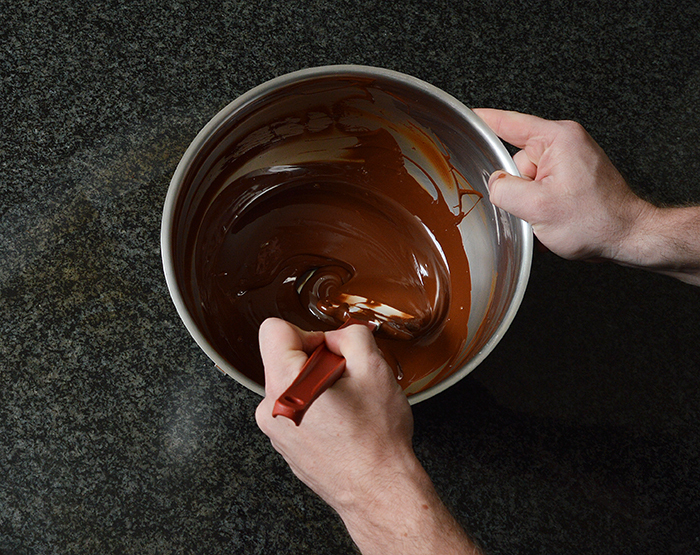 Mixing your chocolate should be your first and only focus once you’re done tempering. Cleaning the table and tools can wait! To get the cooled chocolate off of the tabletop I literally scrape the chocolate off of the table right into my bowl – a quick motion will prevent the chocolate from “drooling” too much over the edge of your tabletop. After mixing, the final temp. should ideally be 90.5F/32.5C. If it’s a little cold, you can warm it BRIEFLY in the microwave, maybe 5 seconds. A more gentle method is using a hairdryer. I do this when my girlfriend is out of the house and unaware that I use her expensive hair dryer for chocolate work. If your chocolate is too warm – anything at 93F/34C or higher – you need to cool it on the table again. If you need to table temper a second time, only pour about 50% of the chocolate out, as opposed to 80-85% the first time around. With plenty of practice, you’ll pretty much just know when your chocolate is tempered, just by the viscosity of it on the table and in the bowl after mixing. Until you reach that stage of knowledge, you’ll want to test your temper (and honestly, I always test my temper no matter what). I like to use a laser read thermometer to check my temps. through each stage of tempering. That being said, just because your temp. reads right at the end of the process doesn’t mean you’ve developed or incorporated the Form V crystals well. It’s always good to physically check the temper to actually see how your chocolate sets, and that is as simple as can be. Take a small square of parchment paper and dip one half (as in the front of the parchment square only and not the back side) in your tempered chocolate. Place the square on a temperature neutral surface (something warm or cool will skew your results). 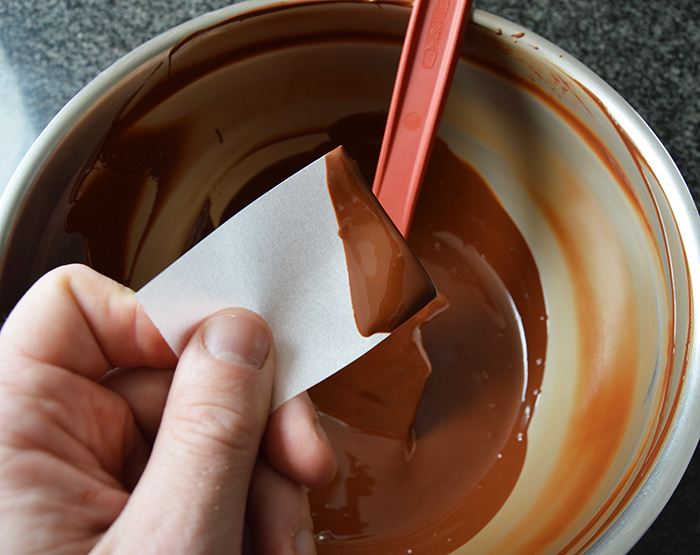 If your chocolate is tempered well, you should see it start to set and pucker on the outside edges of the chocolate and turn from glossy to semi-gloss within 2 minutes. I carved that “SRG” into the handle of that offset fifteen years ago….ah, memories. Your chocolate should be as streak free as possible. If you do see streaking in the chocolate it’s usually the result of chocolate that is overall too warm or wasn’t mixed thoroughly. 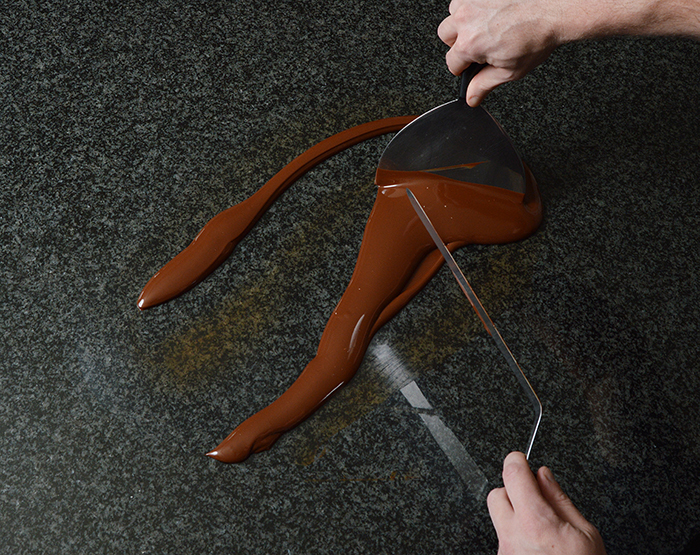 So there you have it, the ins and outs of tempering your chocolate. Like all things in this craft, it’s about practice, practice, practice. 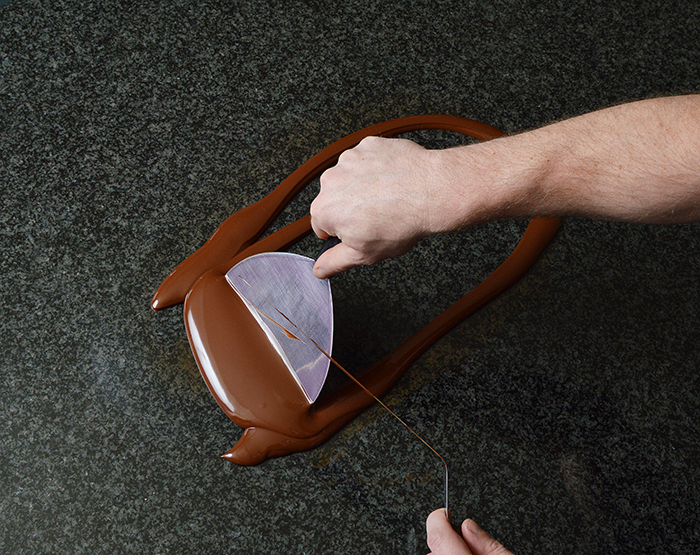 If your first time tempering is a little messy and…less than perfect, don’t sweat it! I’ll be the first to admit that when chocolate work and I first met, it wasn’t a pretty union. 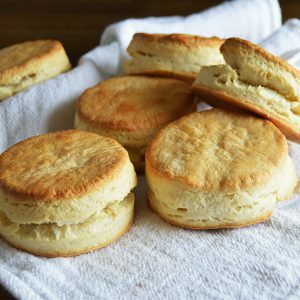 Over time I came to love it like I do now, and I know all you little pastry fiends will too. 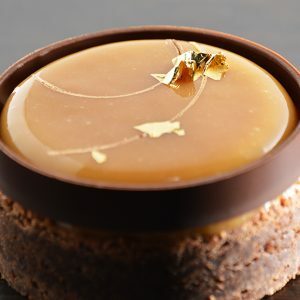 Can you recommend a good milk chocolate for tempering? I work a lot with dark chocolate for my candies, but I need a good milk chocolate. And what percentage I should be looking for when purchasing milk chocolate? Like with Callebaut there are some that have a 33.6% and 31% so I am somewhat confused and what the difference is. I know, I know……I really should know this stuff. Lol! Lol! I like Guittard’s milk chocolate personally. I use their 41% for a lot of my work. Percentage is important but each brand should have easy access to information that tells you what jobs each chocolate is good for. You can have two 33% chocolates and one can be fluid and great for bon bons but the other could be very thick and only good for baking. It all depends on the amount of cocoa butter added. So I would check out the website of a brand you are interested in and that should have answers for you about which chocolate will work best! Any chance would you be able to do a video of table tempering. I enjoy your posts. I think I could make that happen! 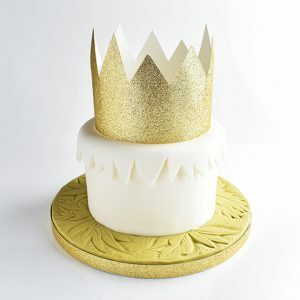 Are there any specific tempering issues you’re having? Thanks so much for being a part of the DFK nation! Thank you for getting back to me. Nothing special. Mainly what you talked about. I am more of a visual person. I like how clean you work. Thank you for your time. Best…D. 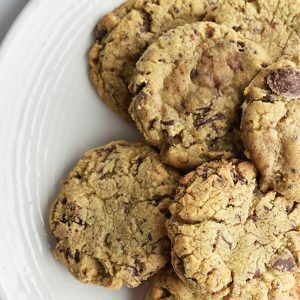 Do you have a preferred bittersweet chocolate that you use for tempering? Really sorry to take so long to reply. Somehow your comment got lost in the fray. I do have a chocolate! I use Guittard chocolate for the blog and in my kitchen as the Exec Pastry Chef for the Langham, Chicago. I really like their La Premiere Etoile 58%, I think it has great viscosity for a variety of uses and of course excellent flavor. That percentage gives it great strength if you’re building a showpiece but isn’t too brittle. Hope that helps! Thank you for your response and thank you for creating this blog and taking the time to provide such detailed and well-documented recipes while maintaining a full-time position at the Langham. How to keep chocolate in the tempered state for long time at home? for make bonbon & moulding,we need to long time but don’t have specific device? please guide me.Thank you. You mentioned materials such as Formica work well for the tabling method and I was just wondering if a laminated composite stone surface would work as well. I ask because I only have a composite stone surface to work on, it is mostly smooth but the surface is very slightly bumpy as the bits of stones don’t lie completely flat. I’ve tried countless times to table chocolate (albeit not with your method, so I’m hoping to find some better results with your method) and achieved a very close result a majority of those times and was wondering if I should be using a smoother surface to get a perfect temper or if my mostly smooth surface will also work if I apply the right skills. Thanks so much for you help and this insightful guide! 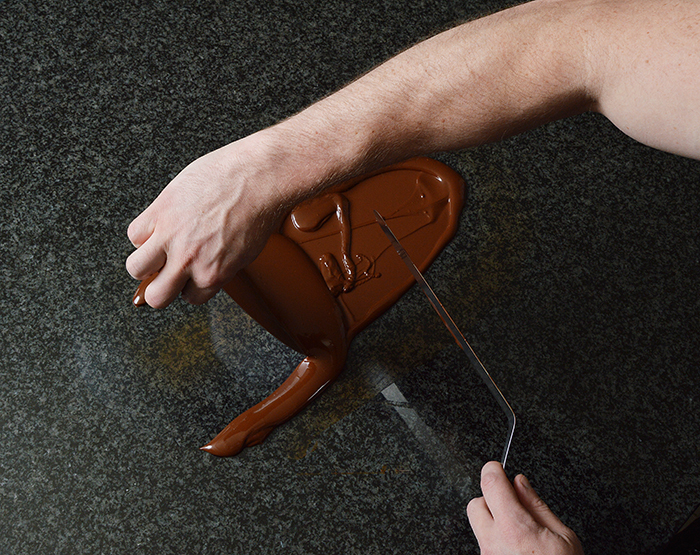 A smooth surface is really just a benefit in terms of cleaning up, since a rough surface will grab onto chocolate and can be very hard to clean thoroughly. When the chocolate hasn’t tempered properly, what has been the issue? What kind of chocolate are you using? How are you measuring the chocolate’s temperature? Let me know, and I’m sure I can help you get it right every time!